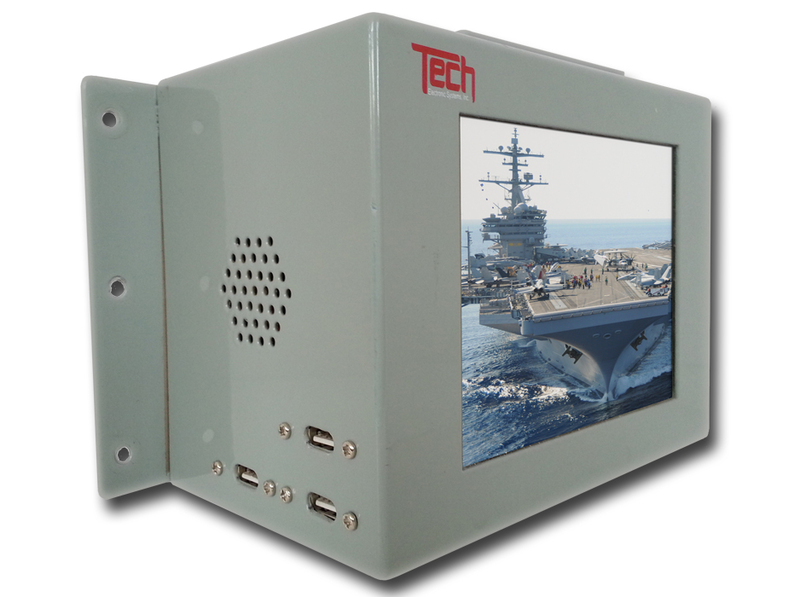 The TECH line of Military Grade Workstations range in sizes from 6.4 inch pc104 based computing solutions to full sized ATX style motherboard configurations used in our 20.1 inch computer workstations. 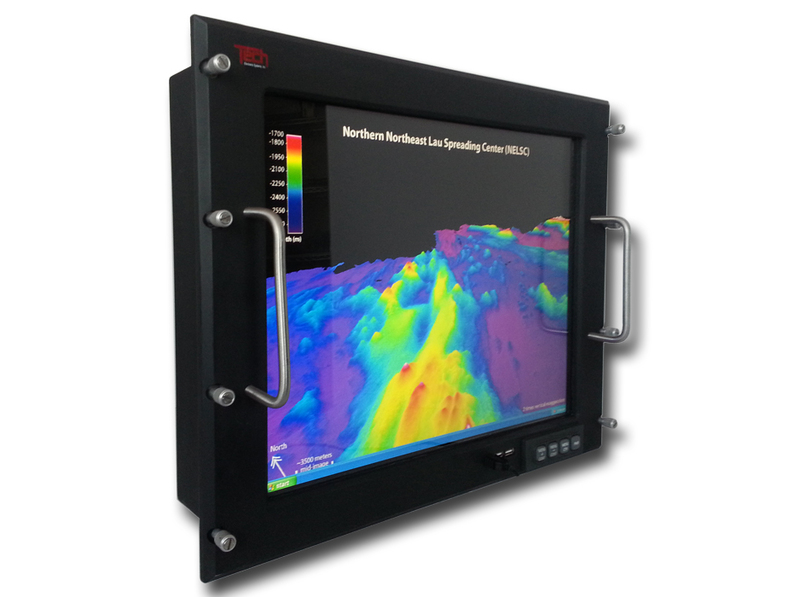 All workstations are designed and tested to the same current Mil spec standards as our full line of Rugged Displays. 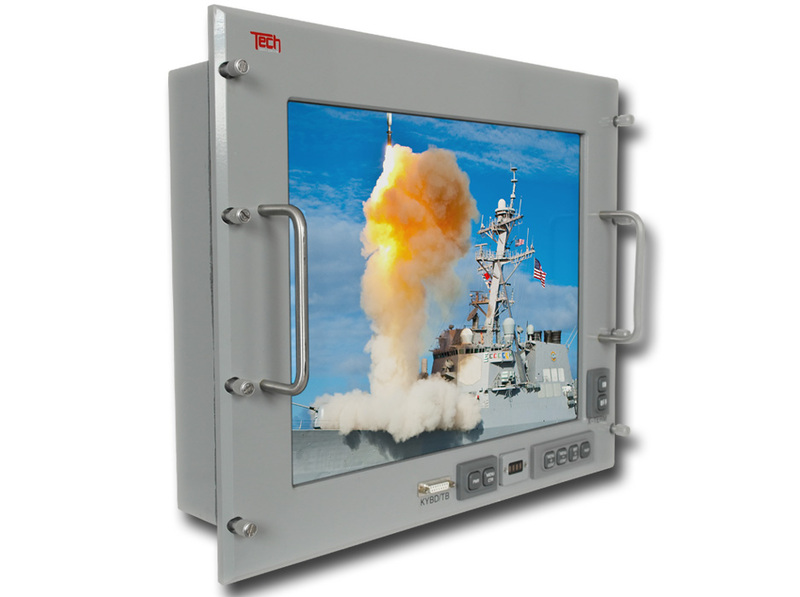 Military Grade Workstation products are certified for Shock (Mil-S-901D/Mil-STD-810E), vibration (Mil-STD-167-1a, Type-1), EMI (Mil-STD-461E) or are currently in process of receiving certification. 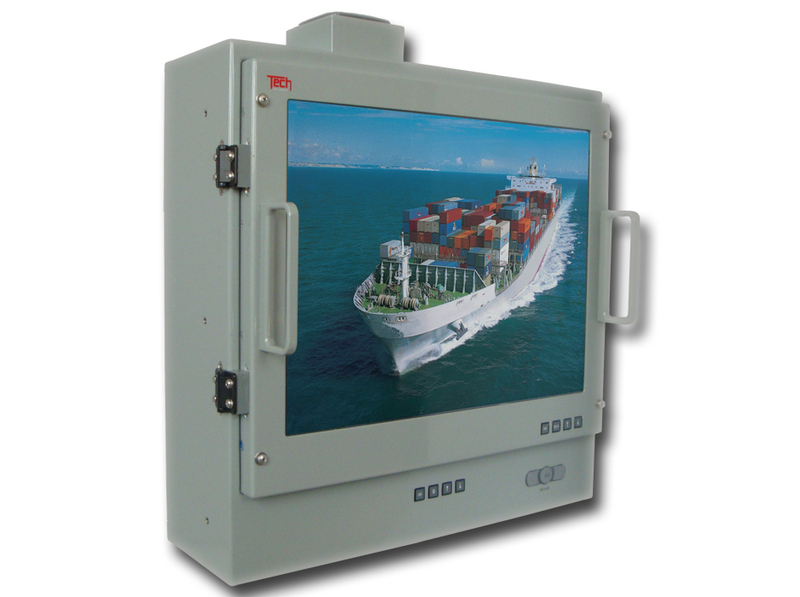 Extended operating temperature available and drip proof(Mil-STD-810E) certifications upon request. Dimensions : (H)5.75" x (W) 7.75" (D) 4.58"
10.4" Fully Sealed Computer Workstation. 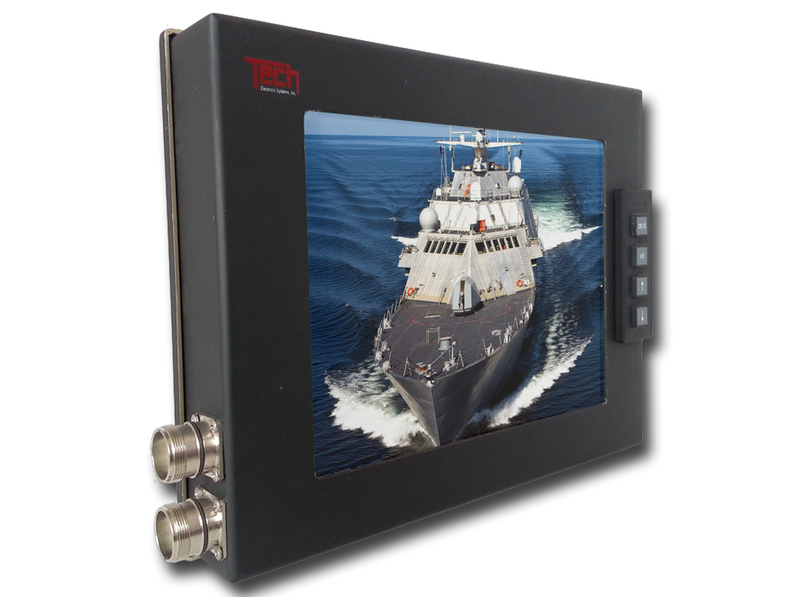 NAVY P/N 7103116H01 : 18.1" Computer X-Terminal. Dimensions : (H)16.25" x (W) 19.00" (D) 4.5"
19.1" Rack Mount Computer Workstation. 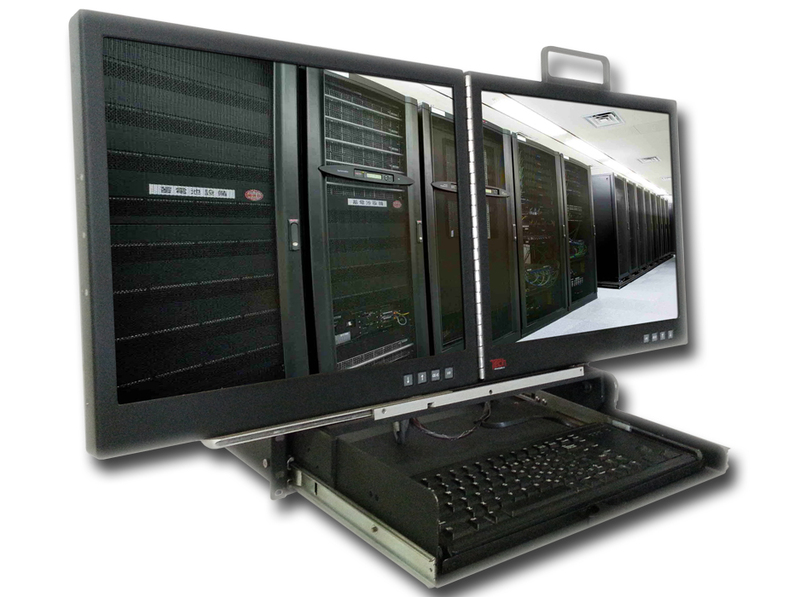 2U Dual 19" Rack Mount Display & Workstation. Dimensions : (when Stowed) (H)3.50" x (W) 19.00" (D) 22.82"
Dimensions : (when fully deployed) (H)18.00" x (W) 33.10" (D) 31.00"